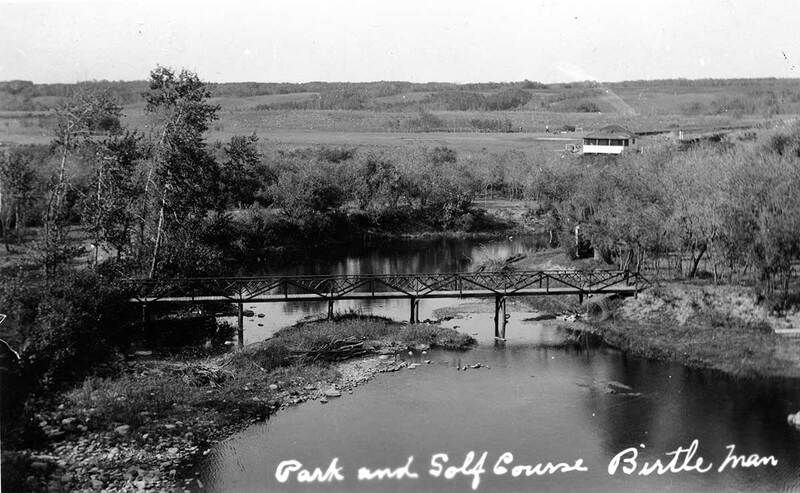 Sometime before 1930 Tommy Copeland donated his land on the SW corner of town to the Town of Birtle to be used as a park which included the establishment of a golf course and later a tennis court. 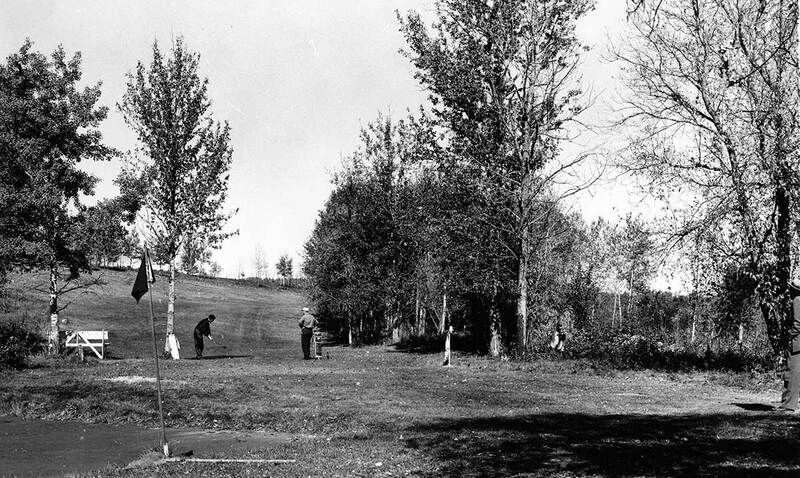 Thanks to his generosity, vision and countless of volunteer hours beautifying the park, it has served as a place of beauty and recreation for following generations. 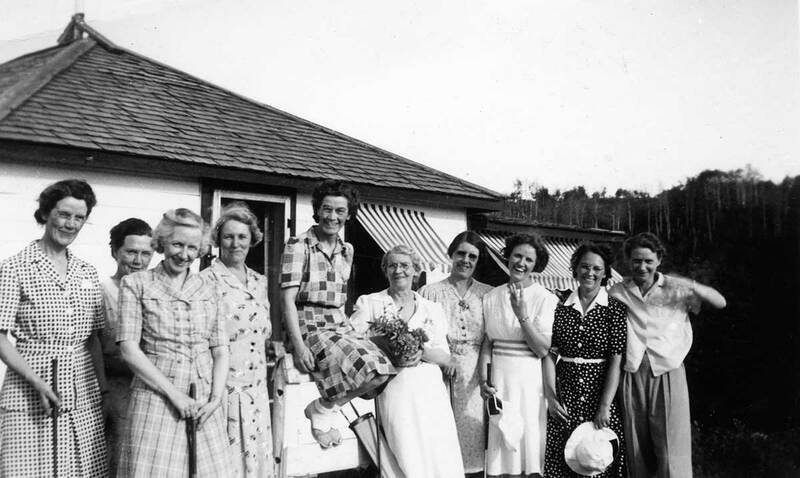 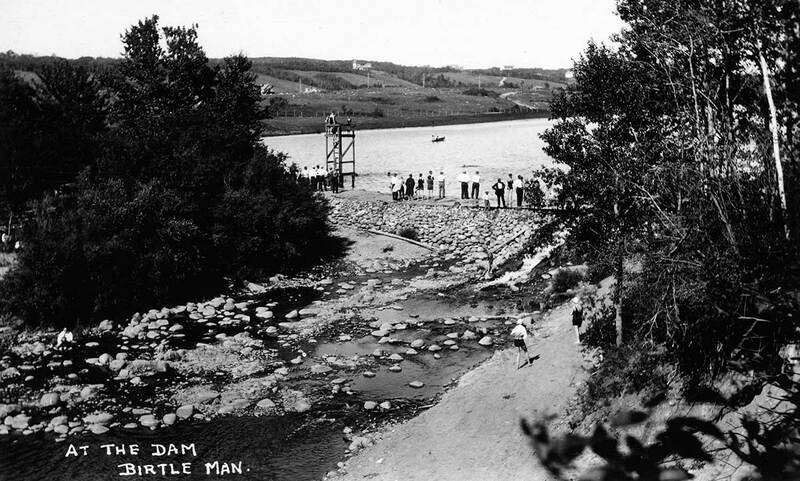 An article in the Birtle Eye-Witness for August 1, 1939, marked the occasion. 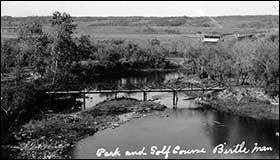 For more about Tommy Copeland and Riverside Park, visit Passing It On at the University of Manitoba's digital archives. 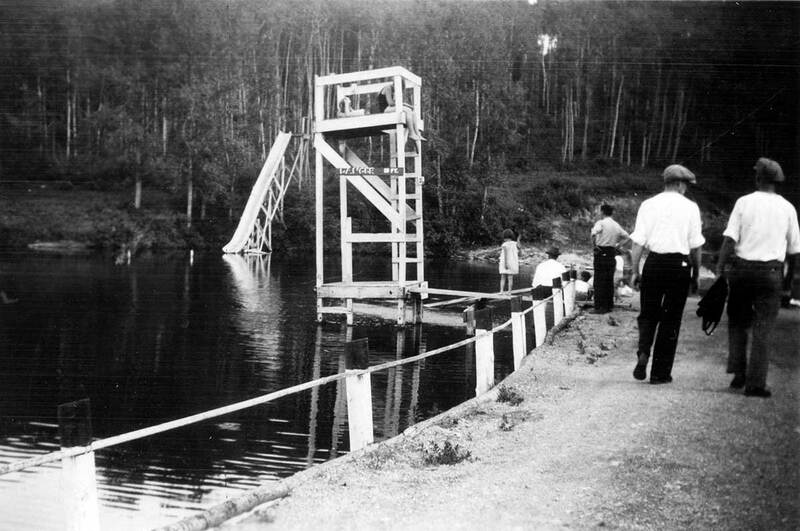 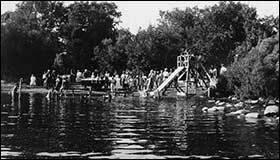 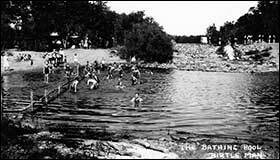 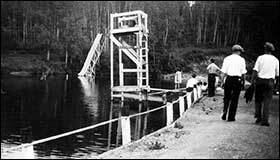 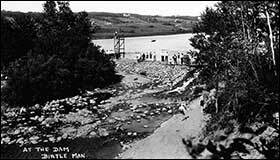 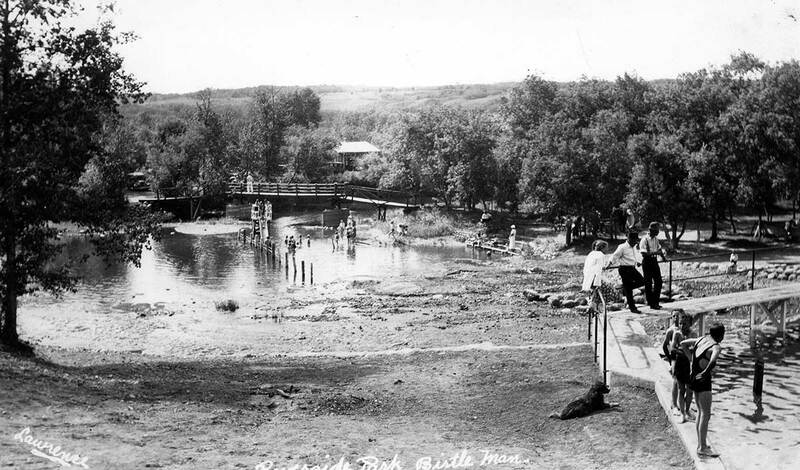 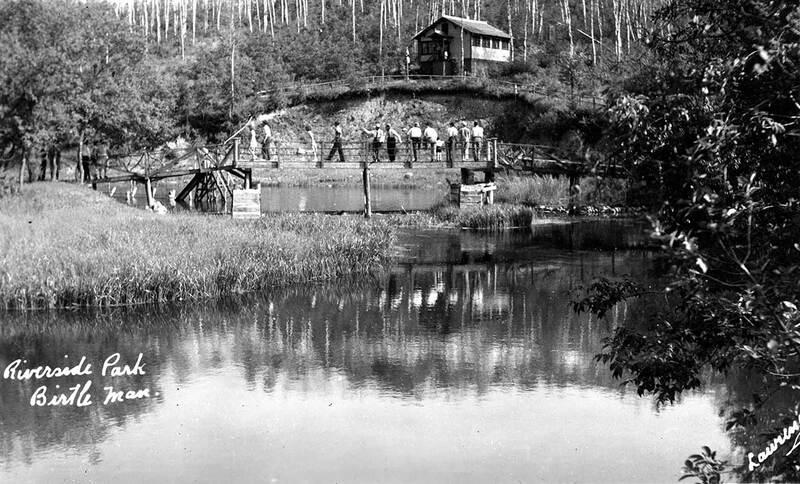 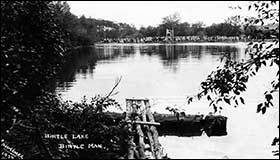 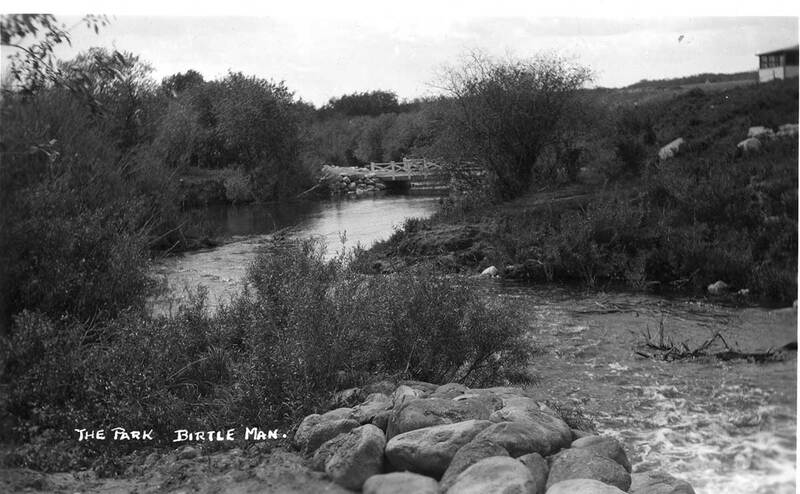 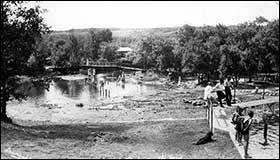 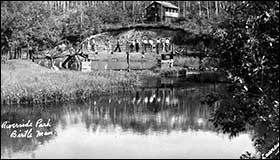 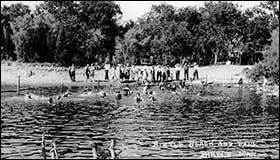 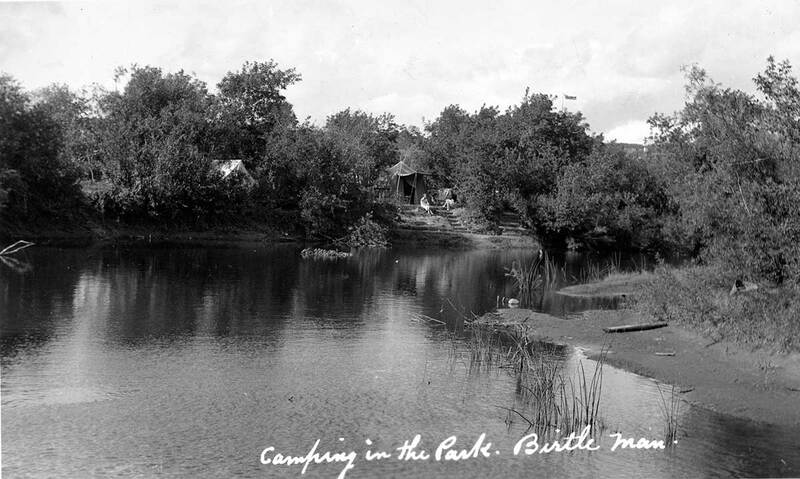 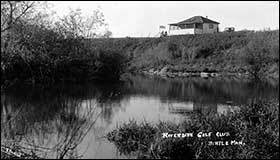 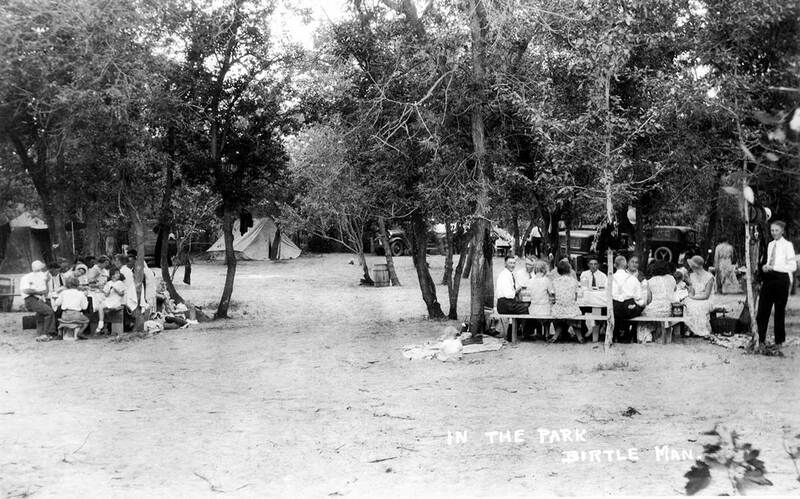 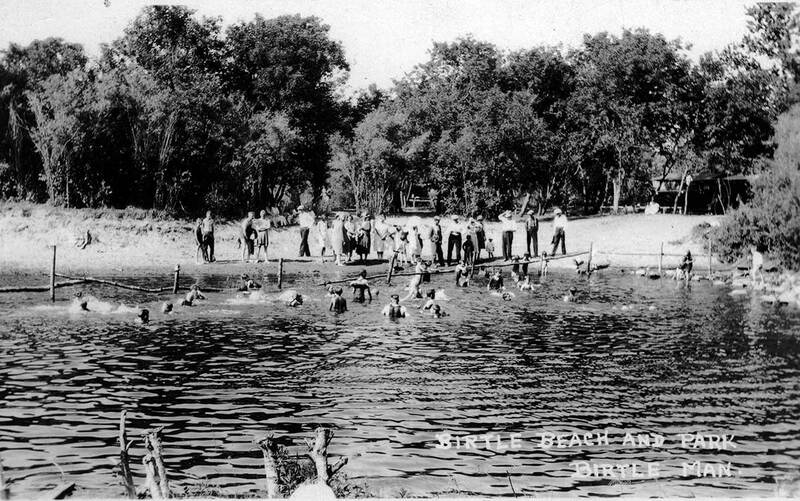 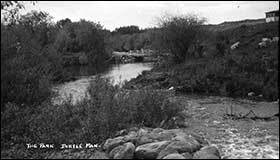 The first Birtle beach was located adjacent to the shallow water just northwest of the dam and was used for swimming lessons for younger children. 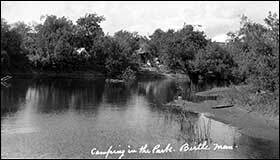 In the 1970s the present day Birtle Beach was created on the north side of the river bank. 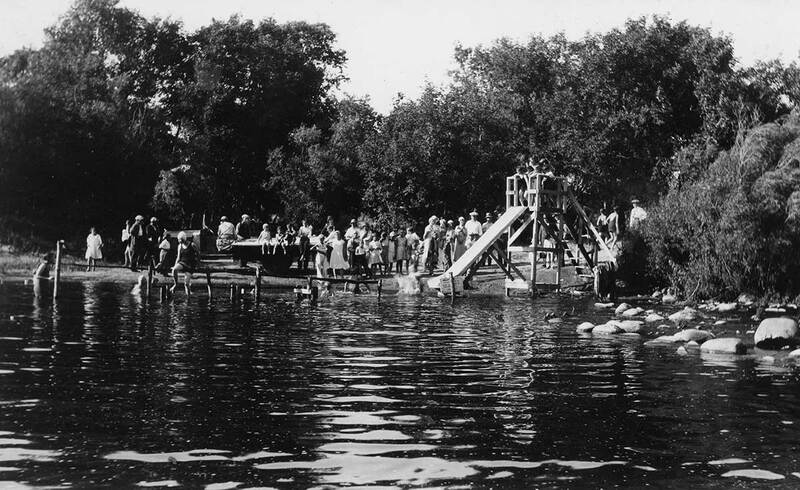 More park and beach photos are on the Water Gala page. 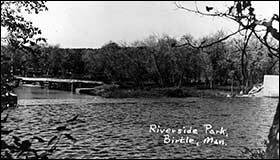 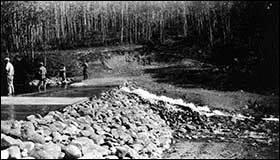 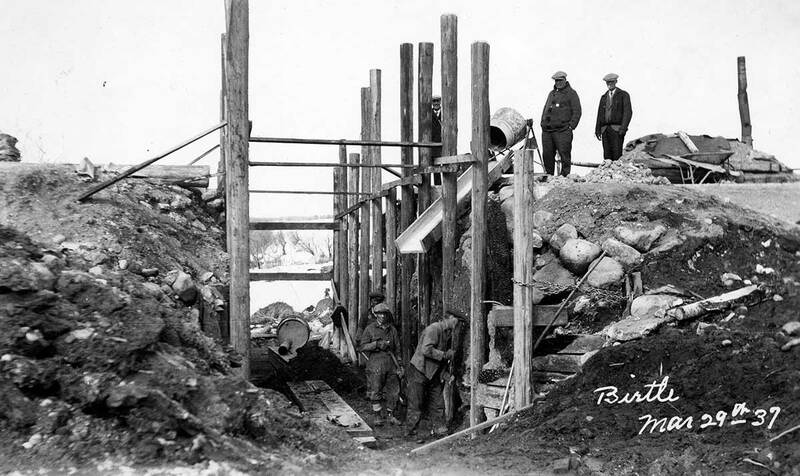 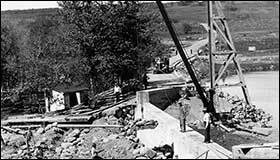 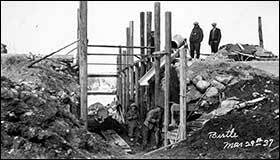 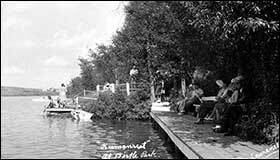 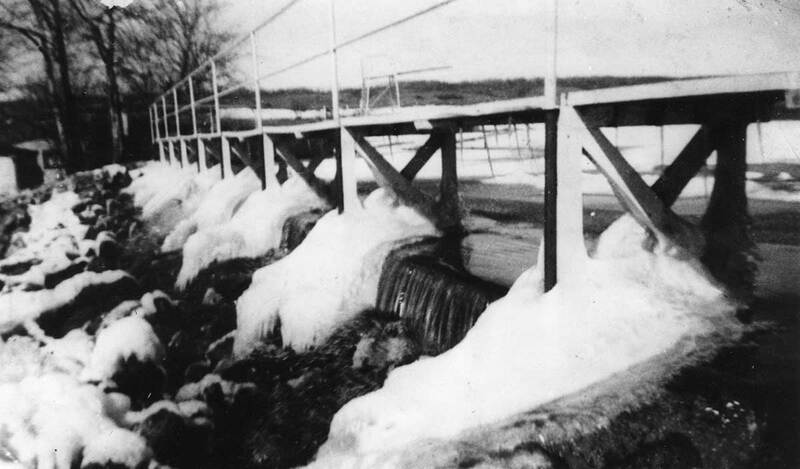 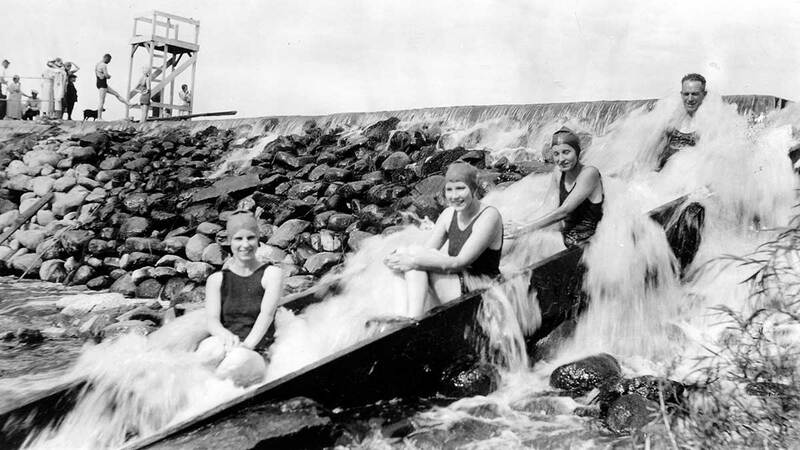 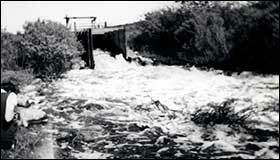 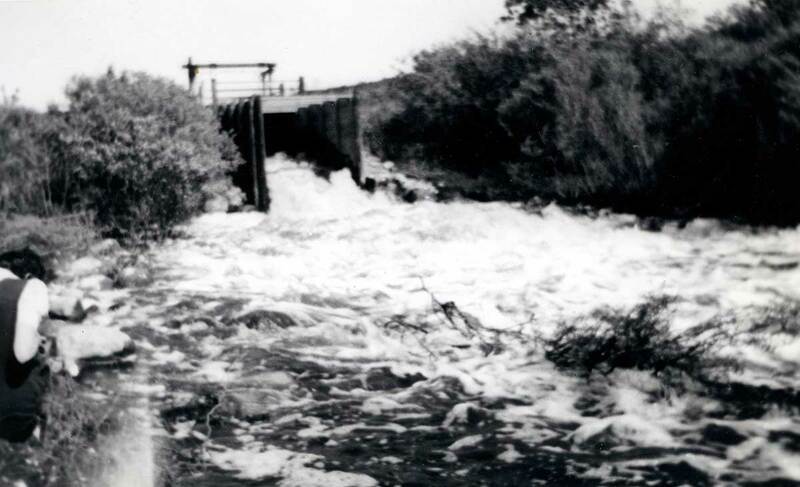 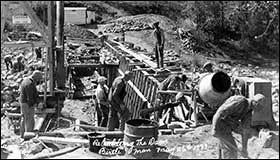 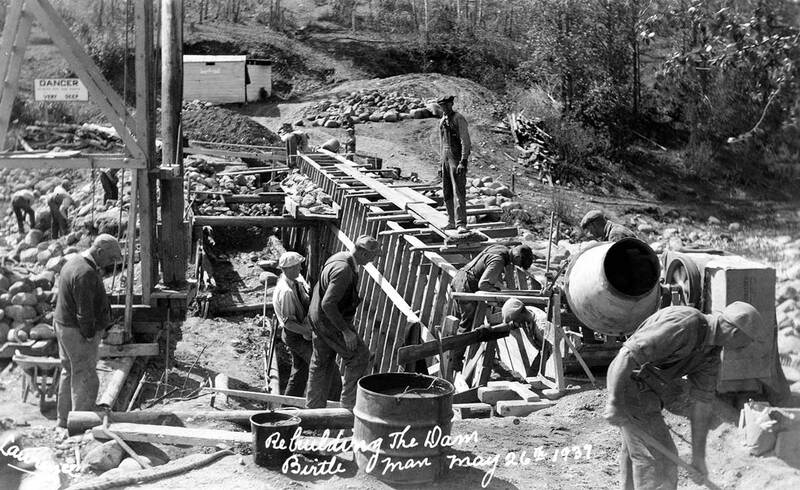 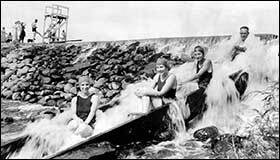 In 1931 work on the establishment of the Riverside Park began with the rebuilding of the old dam. 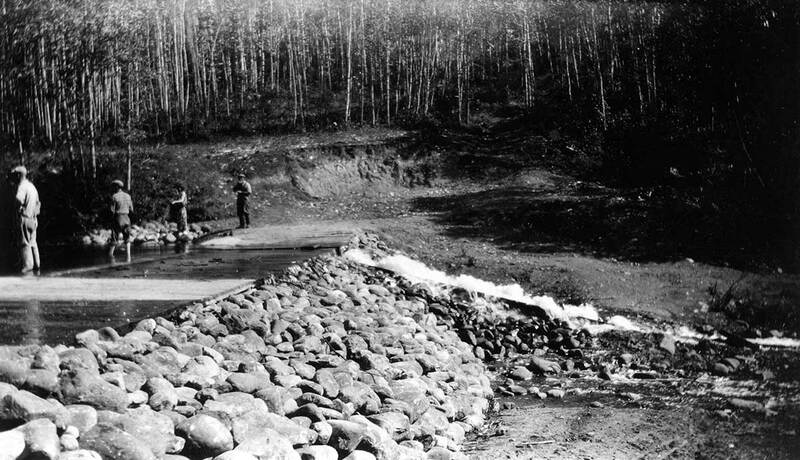 Following this, recreation on the Birdtail started to focus more in the area around the dam. 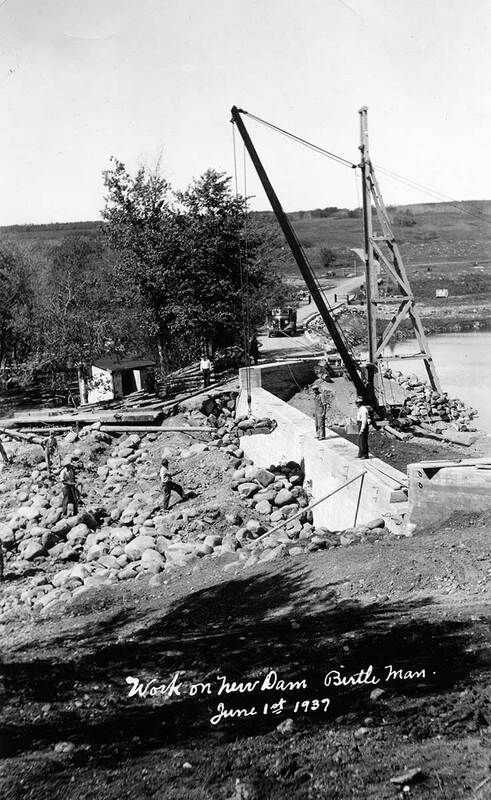 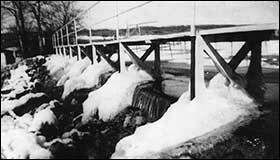 There was also a walking bridge erected over the dam. 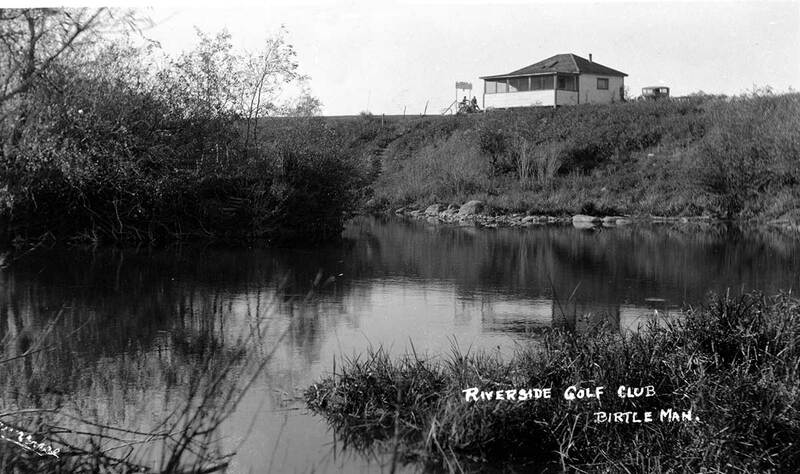 Located at the west end of town, adjacent to the Riverside Park, is Birtle’s scenic nine-hole golf course, founded in 1931. 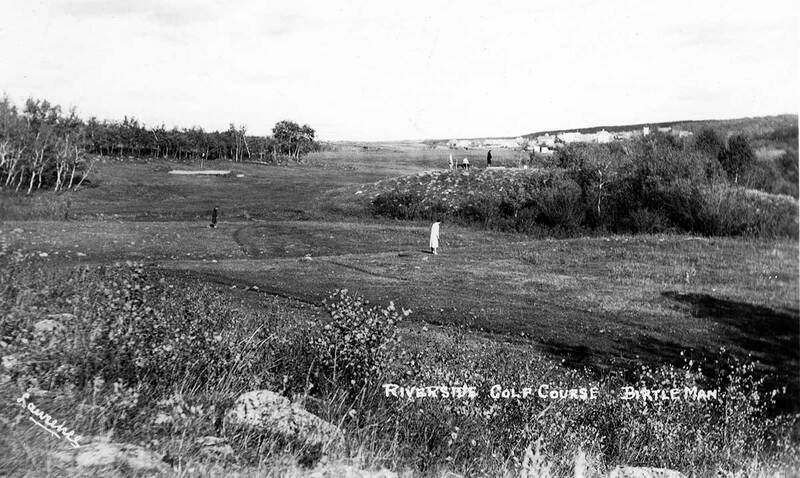 Prior to 1930, players had a course on the Fair grounds. 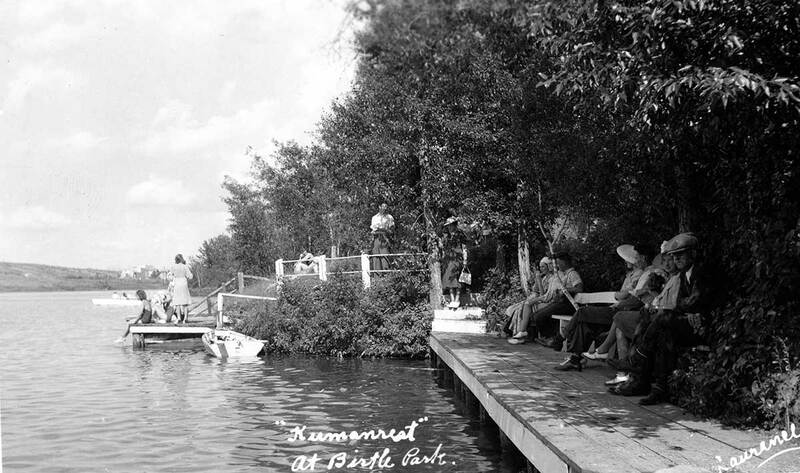 See also Passing It On at the University of Manitoba's digital library. 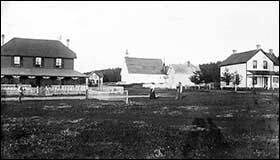 As early as 1895 there are references to lawn tennis matches as part of the July 1st Dominion Day Celebrations. 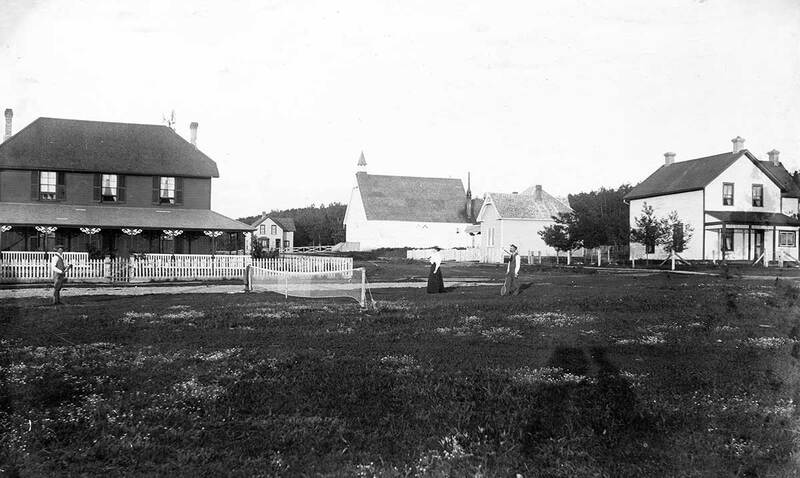 Private tennis courts were commonly built on the property of many homes and farms. 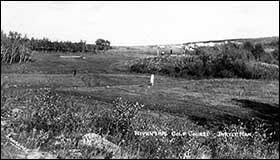 There were three such courts in Birtle before asphalt courts were constructed. 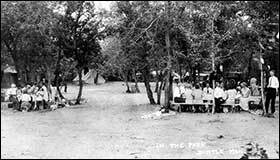 They were located at the corner of 10th Street (across from the Pioneer Lodge) to 11th Street (across from the Elementary School), running east along the south side of St. Clair Street. 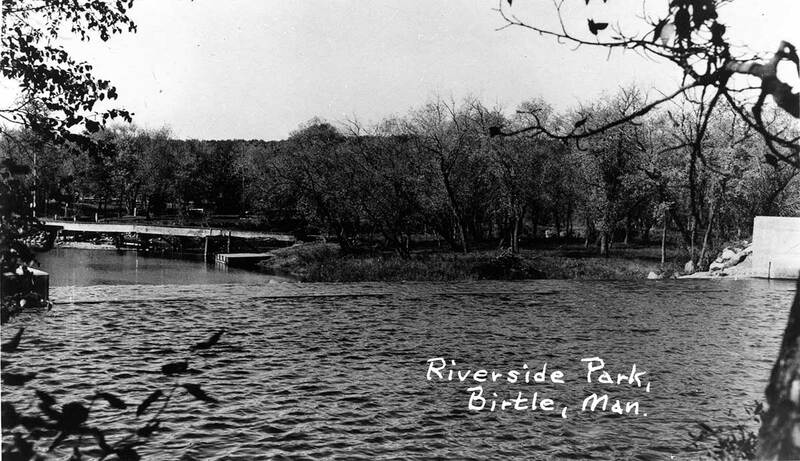 The current tennis courts were put in place in 1967 at the Riverside Park as part of a Centennial project. 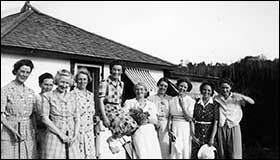 These tennis courts were named Copeland Courts in honour of Tommy Copeland on whose land they were built. 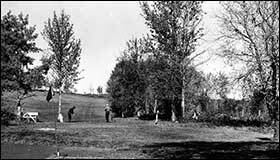 Enthusiasm for the sport peaked in the 1930s and 50s with players competing provincially and taking home many trophies. 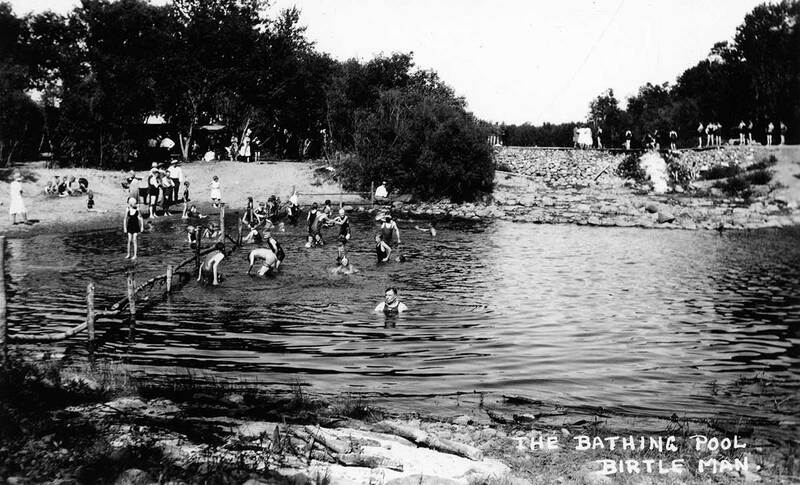 For more about the Birdtail Tennis Club, see Passing It On at the University of Manitoba's digital library.